Victorian houses, cathedrals, and casinos all have beautiful ceilings full of flair. 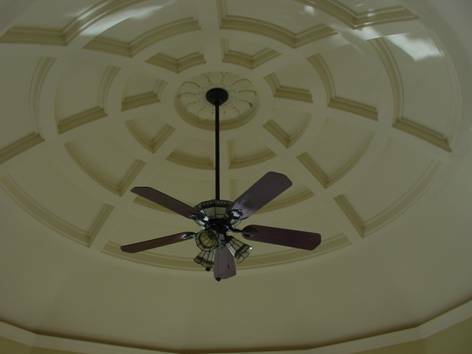 To add a special element to any building, dress up the ceilings. This can be as simple as adding GFRC ceiling panels in a grid pattern instead of the conventional spackled and drab ceiling. Ceiling panels can be more ornate, containing medallions or special designs to add a distinctive look to the room. Soaring arches and curved ceilings are the hallmark of a cathedral. GFRC can be cast into strong, yet light, arches and curves to allow open, soaring ceilings with fewer columns needed to support the weight than is needed with stone. This allows for an open area that is airy and light instead of obscured with column after column. GFRC can even be tinted and textured to look exactly like stained glass for a strong, ethereal display inside a house of worship. In contrast, GFRC can be used to make coffered domes for capital buildings that need to be many stories high with a soaring open space. A coffer is an indented area in the dome. These indentations are framed with ribs. The result is a grid of ribs supporting indented areas that can be painted or gilded for extra beauty. The strength of the structure comes from the strong framework of these coffers. The coffer lightens the dome while conserving its’ strength. Stromberg GFRC can make coffers in square, octagonal, rectangular, and most other shapes. Coves are structures that are placed at the junction of the interior wall and the ceiling. They are a type of molding and are used to hide the seam between these two parts of the building. GFRC is ideal to cast into a variety of coves that will compliment any room. Because it is lightweight, fire and water resistant, and durable, GFRC is the ideal material to use inside a building. 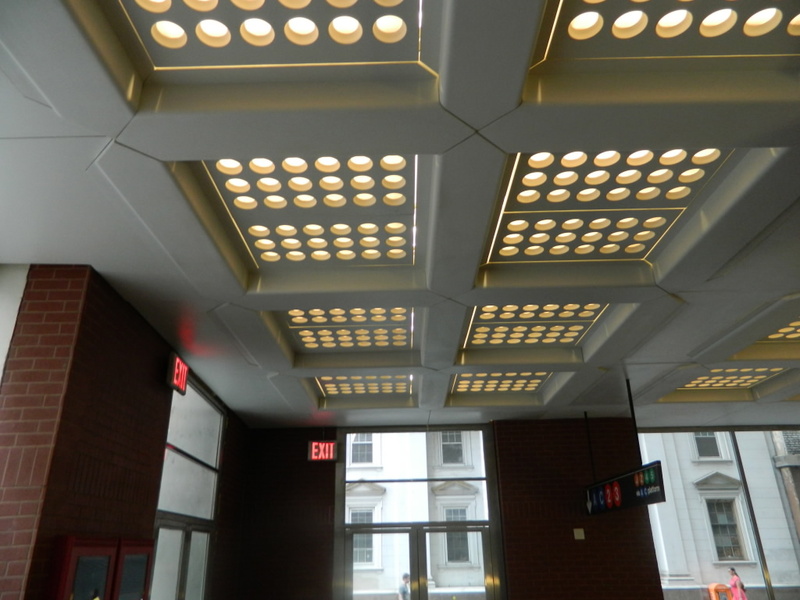 For a more industral application, Stromberg GFRC can produce perforated GFRC ceiling panels. Florescent lights can be installed in the perforations, leaving a strong, durable, fire resistant framework to support the lights in place. The framework can be very plain or beautifully decorated, depending on the application. Stromberg offers design assistance, CAD details, and specifications. Whether your design ins in your head, scribbled on a napkin, or drawn by a famous architect, we can help you realize it. Visit Stromberg Architectural Products for more information about landmarks in quality GFRC, or call (903) 454-0904. Stromberg is here to help, and the initial consultation is free.